Understanding the mindset of your high net worth clients is a high priority when you are marketing luxury real estate. The ability to temporarily step out of your own mode of thinking and see the world through their eyes is one of the keys to becoming a market leader. It is essential to maintaining any great relationship. People take different routes to arrive at the same place. They solve problems from different angles. They see the world through different paradigms or frameworks of thought. Your ability to see it their way and demonstrate that you can solve problems using their methodology can go a long way in gaining their trust. You do not have to abandon your own preferences in the process. Most people just want to be understood. Here is an example of how it works. Remember word problems in math? Some of you might cringe at at the thought. But, try this one for fun. 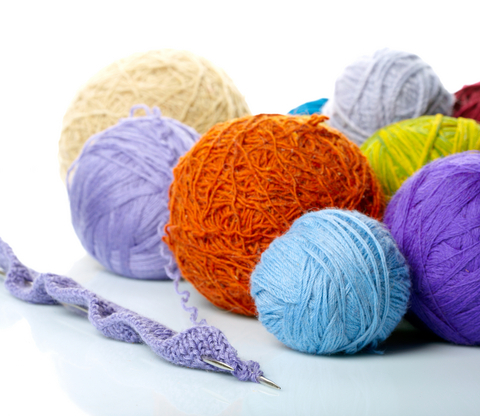 If you have 8 balls of yarn and it takes 2/3 of a ball to make a scarf, how many scarves can you make with this much yarn? Using typical mathematic methodology this can be accomplished by dividing 8 by 2/3, which is the same as multiplying 8 by3/2 (inverting the fraction 2/3 to 3/2 and multiplying), 8/1 x3/2 =24/2 or 12 scarves. Someone else might say that I can get at least 8 scarves out of this because it does not take a whole ball to knit one. That would leave a 1/3 ball from each of those 8 scarves, and I need 2 of those remaining 1/3 balls to make another one. Since I have 8 (1/3) balls left, I need 2 of those for each additional scarf. I can divide 8 by 2 and get 4 more scarves for a total of 12 scarves. Both approaches get you to the same place. Which method is right? Which method is best? Is there only one way to get there? Perhaps you prefer one method over the other. But if you can understand how others think and are willing to demonstrate that you understand their approach, you will find that they are suddenly more receptive to understanding your way, too. This can translate into more listings and more closed transactions.